Mariners familiar with the Channel Islands may have visited some of the places on the islands used in the plot of Sunken Dreams. They do exist, and anyone who wishes can easily visit them themselves. I’ve included pictures and text below to help intrepid explorers that might want to see these locations as they exist today. They may have changed a little since I last visited, but they’re all fun places to explore. Painted Cave appears on most charts showing Santa Cruz Island (‘The Island of the Sacred Cross’). Santa Cruz is the largest of California’s Channel Islands. It is approximately 24 miles long and six miles wide, encompassing 62,000 acres of land. Painted Cave is one of the largest sea caves in the world, nearly a quarter of a mile long and 100 feet in width at its widest passage. The entrance to the cave is nearly 150 feet high. It is located near Profile Point on the lee side of the island facing the mainland (north facing) approximately three miles east of the west end. The entrance to the cave is fairly deep, but it shallows rapidly as you pass under the entrance. It’s easy to enter the cave in a kayak or a small skiff, but taking anything larger is not advised. There is a rocky shoreline at the back of the cave, and it’s usually inhabited by sea lions. Many different sea birds nest in the cliffs near the entrance, and these should not be disturbed, especially during nesting season. This area of the island is part of the Nature Conservatory, and a permit is required to land. Detailed information on regulations can be found online, or in person, by visiting the Channel Islands National Park Visitor’s Center or its website). Painted Cave has an interesting past, and stories abound about pirates and bootleggers visiting for their own nefarious reasons. Who knows, maybe riches still exist that were buried long ago? Now that’s a thought to chew on, isn’t it? The location of the Winfield Scott wreck appears on some charts of Anacapa Island. 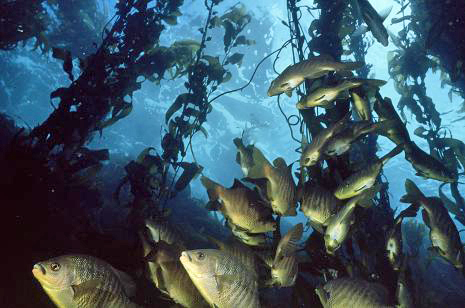 Anacapa Island is very narrow and nearly five miles long. 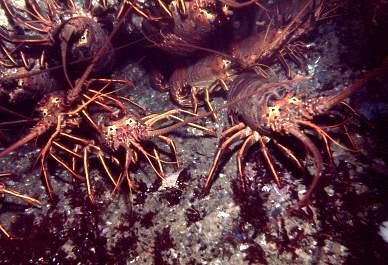 It’s split into three small areas, with shallow shoals dividing them. These areas are known as East, Middle and West Islands. It has a total land mass of about 700 acres, and over 100 small sea caves dot its shores. The wreck is on the lee side of the Middle island facing the mainland (north facing), about ¾ of a mile from the East Island division. The wreck lies in about 10 to 20 feet of water close to shore. 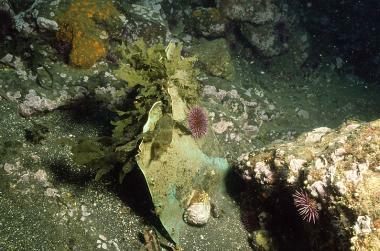 It no longer has a defined shape, but appears as a 50 yard “junk” field of man-made objects strewn along the bottom, like the piece of copper decking in this photograph. No collecting is allowed. Detailed information on regulations can be obtained at the National Park Visitor’s Center or its website. 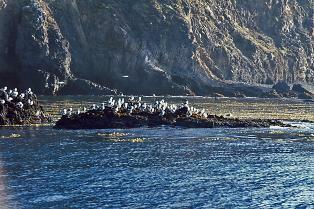 The cave referred to as Lobster Cave is located inside Landing Cove on East Anacapa Island. Its entrance isn’t visible unless there is an extremely low tide. Once inside the cave, there is air on the surface all the way back to the dry beach about 50 yards under the island. There is a small natural chamber located at the end of the cave. To find the entrance to the cave, look for a large crack in the cliff about 25 yards west into the cove from the extension of Arch Rock. Warning! No one should enter any cave, wet or dry, without proper equipment and training. The cave lies within the protected natural area the island, and detailed information on regulations can be obtained at the Visitor’s Center or its website.